Join us this Friday, October 9 at the historic Old Parish House, 4711 Knox Road, College Park, MD for our presentation at the College Park Arts Exchange. Beginning at 7:00 PM, Maxine Gross, President of the Lakeland Community Heritage Project, will be presenting a slideshow of images from Lakeland: African Americans in College Park and sharing audio excerpts from Lakeland oral histories. Please join us to learn more about the history of Lakeland or to share your own memories of College Park’s past. Built in the early 1700s, the Old Parish House originally served as a dairy barn on the Calvert estate. The landmark Riversdale Mansion, built in the early 1800s, belonged to the same property. The Old Parish House became the first home for St. Andrew’s Episcopal Church. 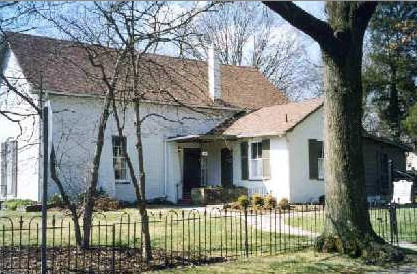 During much of the twentieth century, it was the meeting place for the College Park Women’s Club who then donated the building to the City of College Park in the late 1990s.